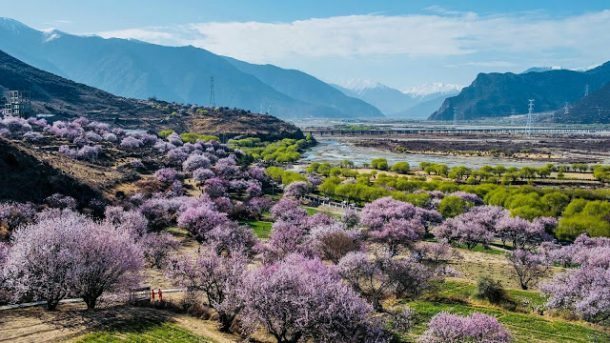 Spring is the start of the main tourist season in Tibet and is one of the best times of year to go trekking on the plateau. With mild weather and temperatures that are just starting to warm up, not to mention that there is almost no rain for the two months of spring from April to May. This is one of the most perfect times to experience the unique outdoor experience of trekking on the high-altitude Tibetan plateau. The trekking in Tibet in spring best time to experience adventurous landscape. 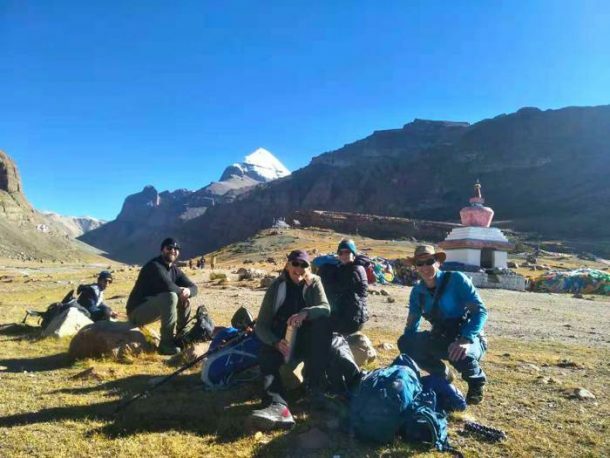 Spring and autumn are the main times of the year for trekking in Tibet, as the weather is more ideally suited to this awesome outdoor activity. The weather in spring is often mild and pleasant, with temperatures that range from around 16-18 degrees in the daytime, on average, although the temperatures can still drop to below freezing at night in many parts of the plateau region. Only in Nyingchi in the far east of Tibet does the nighttime temperature rise above freezing in April and May. Despite t being mostly clear in April and May, there can still be the odd shower, with May being a little damper than April. However, the rains that do come so rarely in the spring season are very light and usually happen at night, so they have very little effect on your trekking tour. Just bring a light rain mac, just in case. One of the most challenging treks in Tibet, the route from Ganden Monastery in Lhasa to Samye Monastery in Lhoka is a trek that covers around 80 kilometers over four days. Trekking through steep alpine valleys and past natural lakes, with Tibetan nomads tending their herds on the plains and grasslands, there is no trek like this in Tibet. The trek takes you up over the high Shugar La Pass at 5,250 meters, the Chitul La Pass at 5,210 meters, and down into the valley basin in Tsedang to visit the first-ever Buddhist monastery in Tibet. A journey of exploration and adventure, this unique trek gives you the best of the landscapes around the capital, as well as taking you back in time to the days when Buddhism in Tibet first began, more than 1,300 years ago. Possibly the toughest trek in Tibet, if not in the whole Himalayas, this unique three-day trek around the world’s most sacred mountain is more than just a hike at high altitudes – it is a spiritual experience unlike any other on the planet. Our every clients wearing sunglasses during their trek around Mount Kailash. Mount Kailash is a 6,714-meter high pyramid of black rock that has been revered in four religions for thousands of years. Not only is this an amazing trekking destination, but it is also one of the most important pilgrimage routes in the world, with thousands of Buddhists and Hindus from all around the world heading for the mountain every year to make the kora ritual around its base. Climbing to the stunning altitude of the Dolma La Pass, at 5,630 meters above sea level, you will be astounded by the amazing views from the crest of this pass out over the vast Gangdise Mountain Range of the Transhimalaya, as well as the immense number of prayer flags that are strewn over the pass, covering almost every square inch of ground. You will get to stay at two of the highest gompas in the world, Drirapuk at 4,700 meters and Dzultripuk at 4,790 meters. And while it normally takes around three days to make this trek around the world’s most sacred mountain, you will see pilgrims that can do it in one day, as well as those that take more than a month, prostrating along the entire kora route. Everyone wants to visit Mount Everest, and one of the major attractions with the base camp in Tibet over the one in Nepal is the ability to drive right up to the camp, without the need to trek. However, if you are into trekking, there is an amazing trek that can take you from Old Tingri on the G318 Friendship Highway to the base camp itself at 5,200 meters above sea level. The trek covers around 70 kilometers across the country to the base camp and takes around four days to complete. However, with the route taking you across the country and through only small hamlets with no accommodation, you will need to camp out at night, so this is not a trek for those that prefer a little comfort. The route takes you through swamps and pastureland, over high passes and along stunning lush valleys, and is one of the best treks in the world. And the most important and best highlight of the whole trek, apart from ending at the Everest Base Camp, is the view of the world’s highest mountain as it gets closer and closer with every single step. A tough four-day trek that runs through the northern pastures and plains of Lhasa, this amazing trek starts at the Tsurphu Monastery, around 65 kilometers from Lhasa city. Covering a distance of around 60 kilometers, this trek takes you up the isolated Tsurphu Valley and into the remote nomadic lands that are enclosed by beautiful panoramic mountains to the south of the stunning Lake Namtso. 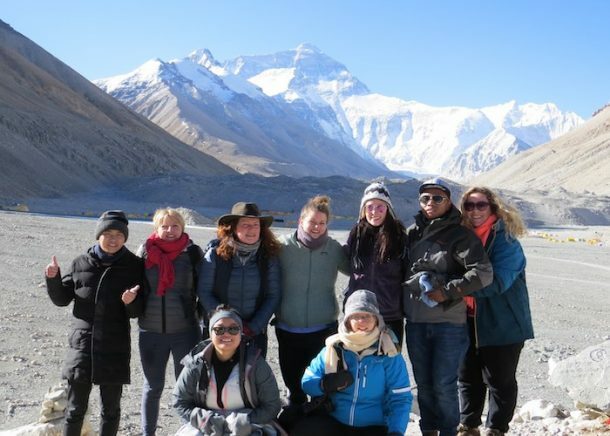 The trek not only gives you the chance to experience the Tibetan Nomadic lifestyles at first hand, as well as visiting one of the Great Three Sacred Lakes of Tibet – Lake Namtso – but also takes you to one of the region’s most popular and famous natural hot springs at Yangpachen. Located at the end of the trekking trail through the northern Lhasa wilderness, the hot springs are the ideal way to end a trek in Tibet, and you can spend a few hours bathing away the aches of the trek in their relaxing and refreshing hot waters. Renowned for having minerals and natural benefits, the hot springs have rejuvenating properties that have been a part of the ancient Tibetan Medicine rituals for more than 1,000 years.